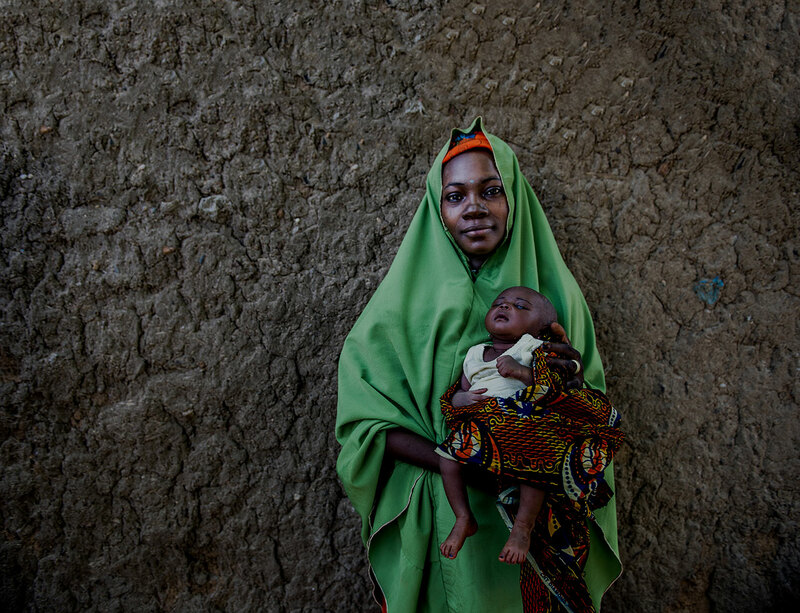 Since the first edition was published in 2000, the Managing complications in pregnancy and childbirth (MCPC) manual has been used widely around the world to guide the care of women and newborns who have complications during pregnancy, childbirth and the immediate postnatal period. The MCPC manual targets midwives and doctors working in district-level hospitals. Selected chapters from the first edition of the MCPC were revised in 2016 based on new World Health Organization recommendations, resulting in an updated second edition, which aims to provide up to date clinical guidelines to help health care workers to improve quality of care and to reduce preventable death and disability associated with complications during pregnancy and childbirth. 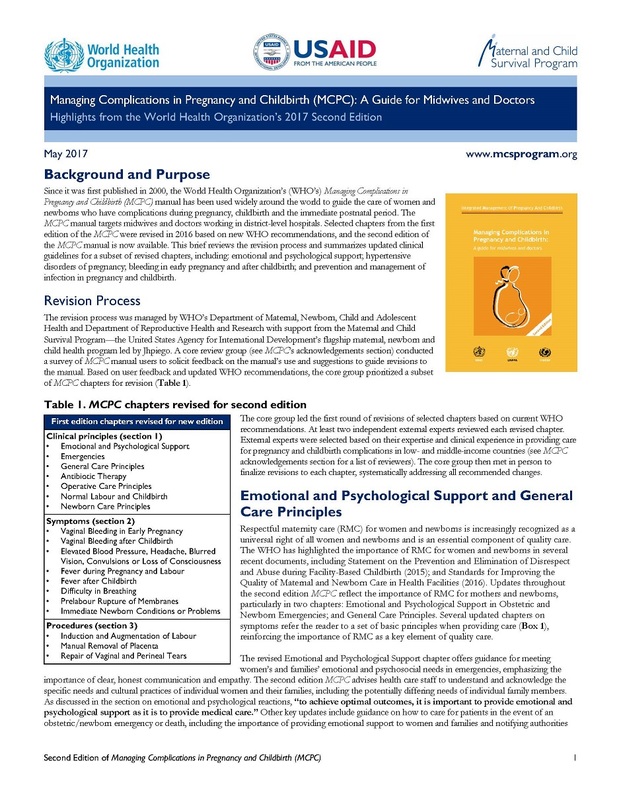 The brief summarizes the revision process and selected highlights from the second edition of the manual, including updated clinical guidelines from a subset of revised chapters: emotional and psychological support; hypertensive disorders of pregnancy; bleeding in early pregnancy and after childbirth; and prevention and management of infection in pregnancy and childbirth. The brief is intended for providers, policymakers, program managers, and educators. The detailed PowerPoint PPT developed by MCSP and WHO similarly highlights key technical updates from this second edition. Intended for providers, educators, and program managers, this technical PPT can be used when disseminating second edition MCPC technical updates to stakeholders, or adapted and tailored to specific audiences and needs at the country level.